Disappointing defeat in the sun at Twerton to a confident clinical Maidenhead team. Early Tarpey pen set the ball rolling and well executed 2nd and 3rd goals ripped City apart at the back. 4 up after an hour only an individual sortie from Naby gave the faithful in the 708 crowd something to cheer. A well taken 5th at the death put the tin hat on it. Least GO knows the task he faces in the summer to build a team to compete at the top end of the table. 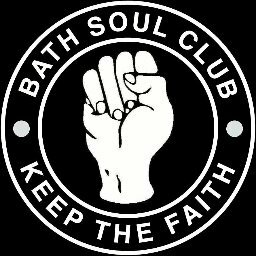 Henry Burridge, Chronicle reporter, asked on Thursday if Bath City can stop Dave Tarpey and the answer was an emphatic NO! Too much pace and trickery. I suggested that City ought to play Sekani and Axel with George Rigg in midfield. In Axel's absence, second half City did use Sekani but between Chas and Jack instead of at right back. Maidenhead looked far superior to Ebbsfleet going forward but are vulnerable at the back, sadly City lack forwards good enough to penetrate. GO needs a Scotty Partridge to compliment Nick McCootie's hard work. The likes of Naby Diallo and Josh Hutchinson ought to feature permanently for the rest of the season. If I never saw Morgan again I would not be sorry. I thought we actually did pretty well playing with nine men until half time. GO took McCoulsky off to make it 10 v 11 didn't like it and went back to 9 v 11 by bringing on Marshall. The lad is the definition of anonymous. We were always likely to ship goals with Big Chas up against a sharp striker and Batten needs someoone aongside him who knows what he is doing to get the best out of him. I thought Murphy had his best game ever for us with little support and Max saved us from a bigger stuffing but no problems with Miles-Welch as MOM as he was very good again. Of all the loan players this season he has been the biggest success. But boy oh boy do we need a proper striker/ centre forward. I thought Morgan was better than normal but his end product is woeful, which isn't promising as a striker. He was one of few players to earn a 6 in the NLP for us. Their left back going off injured actually benefitted them. The guy that came on was superb and we couldn't cope against their new shape. It should have been 8 or 9. A dreadful afternoon. Yes, very disappointing but no disgrace to be beaten by such an excellent all round team, easily the best this league has seen for several years. It will be a travesty if Ebbsfleet pip them for the title, but I very much doubt they will. Thought Morgan and McCootie battled well enough given we had a non existent midfield. Murphy sloppy pass to blame for the pressure leading to first goal. Marshall may as well look for another club. Naby gave him a right earful when he didn't go for a ball. Can't remember Pentney having a shot to save. Ironically he let in the one he should have saved. Great run by Diallo but he's hit a ball far more cleanly than that before. Often a mis-hit shot will bamboozle the goalie. Luton Roman wrote: Murphy sloppy pass to blame for the pressure leading to first goal. Yes the only bath player to misplace a pass all afternoon. Certainly the best side I've seen against us this season and probably for the last few. Maybe of one of the headers late in the first half had gone rather than hitting the bar it could have been different but somehow I doubt it. Maidenhead could easily have added another goal or two and we'd have had little complaint. Nobody came out of it was any real credit though I agree Mark and Gerry that Morgan was probably the least bad (damning with faint praise I know) and I gave him MotM on the website. Though I understand given what has gone before with him this season he is not going to get any credit with most supporters regardless. Well beaten by the better team today - from where i was standing thought build up to 2nd goal may have had handball but what happened thereafter was clinical. 3rd goal and heads dropped although 1 back before half time may have made it interesting. As it was 4-0 soon after the break and no way back. What struck me most was Maidenhead first to the ball most occasions when going forward which we simply couldn't cope with. Which game were you watching, or have I missed the sarcasm? McCootie has become the new Dave Pratt chasing down lost causes. Feel sorry for him having to play with Morgan who only wants to play when it suits him. For a big man Morgan spends half the time trying to push into his marker rather than winning the ball. I haven't been too impressed by McCoulskie either who seemed off the pace yesterday. We missed Axel big time. Credit to Maidenhead they are a good side and obviously have a winning mentality and I hope they go up. Thought that their no 8 in the middle pulled all the strings for them and our midfield was pretty ineffectual yesterday against opponents who pressed well. Where was Shaquille yesterday?? Clearly if GO had a plan to stop Dave Tarpey he obviously kept it to himself! To be fair though two of his goals were penalties. Would have been interesting to see how the second half panned out if either of the headers that hit the 'woodwork' before the break had gone in - it would have been a different game at 2-3 but like Yuffie I suspect that it would just have made Maidenhead push on more. I assume that the changes at half time were to try and 'shut up shop' and keep the score where it was, which worked nearly as well as the plan to stop Tarpey! At the end of the day though we have to accept that we were beaten by a much better team. It highlighted again how much we miss Axel - not only because he strengthens the defence but because it means that Chas can play his midfield role which we missed yesterday. I still think we look at our best when he plays there, even though it does restrict our attacking options. Interesting what sirkev says about McCootie and Morgan - if only Nick could score the goals that Dave Pratt did as well! As for Morgan, he does seem to spend more time fouling than trying to win the ball, and when he does get it seems to want to get rid of it as quickly as possible. I have been thinking about Yuffie's assessment of Morgan. Have I been harsh? I think he was completely non existent first half, apart from his effort that hit the bar. Second half he was much better and linked up with McCootie well. But Naby had to make and score the goal entirely on his own. There was no help whatsoever from either of the big Ms and that wasn't the first time that had happened. We actually created very few chances. Yes their defence was rock solid but would they have been so if one of our attackers was running about pulling them all over the shop rather than keep backing into them. Having said this crosses favour the attackers if they come from the goal line not the edge of the penalty area. I know GO, like a lot of coaches , favours in swinging crosses but Morgan doesn't need to back in if the ball is coming back towards him and he's running on to it. I'm trying hard to justify our lack of goal threat here which surely is what big Marvin is here for? GO doesn't pull his punches in the post match interview. I think I've spoken to him after a match 20-30 times now. Yesterday was by quite a distance the angriest I've seen him. Fortunately he doesn't direct it at us like Mourinho. Interesting what GO says about next season. Bearing in mind that we have already signed up Nick, Frankie, George Rigg and Billy Murphy the only others I can see being signed on are Chas (who has made it clear that he is keen to do so), Jack Battten and possibly Andy Watkins if he is still prepared to do the traveling. I think the fact that Josh didn't get on at all yesterday (I thought he might have come on instead of Marshall) seems to speak volumes for his chances, and although I think Naby is worth a contract GO has made his position pretty clear there. On the face of it we could be looking to recruit 10 players during the summer and hopefully we won't need to rely on loans so much. And what of our keeper? O'Leary is a loanee, so can we get him for another season? I watched Bridport V Longwell Green yesterday, Everyone, me included, was impressed by the Longwell keeper. Young, tall, made some great saves and looked OK on crosses. Could do little about any of the three they conceded. Are decent players from this level worth a punt, signing on dual registration? I'm not so concerned about the number of loanees. 1. Would we really have wanted to sign Marvin on a permanent? 2. Would we have got Max, Miles or Axel without loans? 3. Could we have got rid of Fleetwood without loans? I agree that short term loans are not very good. Frequently the player is just getting up to scratch and he goes back. But overall it has worked well for us this season.